Total Deposit Bonus amount will be divided by 12 equals parts and granted every month. – Equity on trading account must be not less than planning deposit bonuses amount. Bonus can be used for trading and for margin. Fraud, manipulation, pip hunting, pip mining, scalping, bonus hedging, cash-back arbitrage or other forms of deceitful or fraudulent activity are prohibited. Every time you make a deposit over $1200 you activate the 100% bonus again. 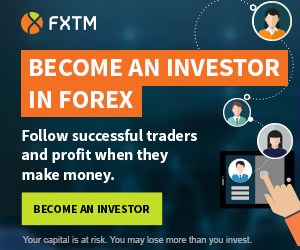 PaxForex is non-regulated broker which offers accounts from $10, leverage up to 1:500 and spreads from 0.4 pips.